ADLA and its partners in the Humane Legislation Coalition of Arizona* in partnership with Maricopa County Attorney Bill Montgomery, worked to develop a bill that strengthens penalties against convicted animal abusers. Violent crimes against family pets are often part of a larger pattern of domestic violence; but as you may be aware, current Arizona law only allows even the most heinous crimes be charged at the lowest felony designation – felony 6. This bill would make killing or torturing animals a felony 5. 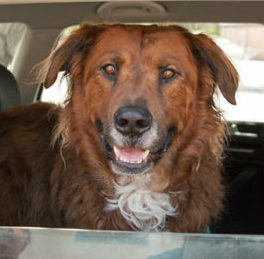 SB 1295, animal cruelty; domestic animals; classification, sponsored by Senator John Kavanagh, makes it a class 5 felony to intentionally or knowingly subject a domestic animal to cruel mistreatment, or to intentionally or knowingly kill a domestic animal without either legal privilege or consent of the domestic animal’s owner or handler. UPDATE: The bill recently passed the Arizona State Senate and is now headed to the House of Representatives! Thank you to each of you who took action last week and contacted your Senator asking them to vote yes on SB 1295. Your actions are making an impact! Also, a special thanks to Senator John Kavanagh for sponsoring the bill. You can find out how your Senator voted here. If your Senator voted “Yes”, please thank them for supporting the bill. You can contact senators here. There is still work to be done, and we’ll need your help in the coming weeks to push this bill through the House and to the finish line. The Arizona Legislature passed two bills that were actively supported by ADLA and its partners in the Humane Legislative Coalition of Arizona (HLCA)*. The Spay Neuter Funding Bill and the Samaritan Hot Car Bill will each take effect on August 9, 2017. The Spay Neuter Funding Bill passed the Legislature and was signed by Governor Ducey. ADLA and its partners in HLCA led efforts to pass HB 2523, which will allow Arizona residents to make a voluntary contribution through the tax check-off program to fund much-needed, affordable spay/neuter services throughout Arizona. Monies raised via this voluntary check off program will be administered at no additional cost through the Companion Animal Spay Neuter Committee. Representative Drew John and Senator Kate Brophy McGee sponsored versions of the bill. 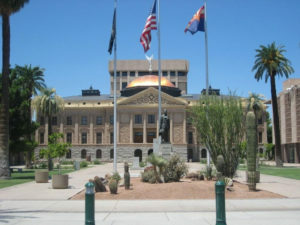 HB 2494 passed the Arizona House on the final day of the session by a vote of 35-20-5. It had previously passed the Senate 20-7-3. The measure aims to end hot-car deaths and allows good Samaritans to take action without risk of civil liability if they rescue a child or a pet from a hot car. 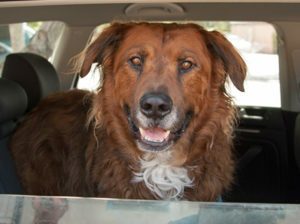 The bill was sponsored by Senator John Kavanagh, a longtime animal welfare advocate who drafted the legislation with the support of HLCA, The Humane Society of the United States, and Don’t Leave Me.org. also supported the bill. ADLA thanks HLCA government consultant Brian Tassinari for his efforts to get HB 2494 passed. Also thanks to the Arizona Chapter of the American Academy of Pediatrics and the Arizona Veterinary Medical Association for endorsing this legislation. And finally, thanks to everyone who contacted their legislators in support of HB 2494. *Humane Legislative Coalition of Arizona is comprised of the Animal Defense League of Arizona, the Arizona Humane Society, Humane Society of Southern Arizona, and Humane Voters of Arizona. In the 2017 session the Legislature and Chamber of Commerce launched a slew of bills aimed at dismantling citizen initiatives, and passed two bills that would significantly impact the ability of the animal protection community to utilize initiatives to protect Arizona’s animals. Arizona’s citizen initiative process is the single most important tool for protecting animals, and is a constitutional right enacted at statehood in 1912. When the founders of Arizona met at our state’s Constitutional Convention, they held citizen initiative rights as one of the most sacred. Thanks to citizen initiatives, voters banned indiscriminate leg-hold traps, snares, and poisons on public lands in 1994. 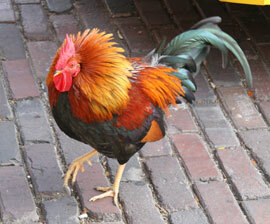 In 1998, Arizona voters banned cockfighting along with the Voter Protection Act to prevent the Legislature from overturning citizen initiatives. And in 2006 voters passed a citizen ballot measure to prohibit the confinement of pregnant pigs and calves raised for veal in large agricultural operations. The worst of the two measures that passed is HB 2244, which changes the current standard of ‘substantial compliance’ for initiatives to ‘strict compliance’, which could cause many perfectly valid signatures to be tossed out for even the smallest technical mistake, such as using the wrong type or margin size. Well-financed groups can hire more petition collectors to compensate for signatures disqualified on a technicality, but that cost could decimate budget-strapped groups like ADLA that rely primarily on volunteer signature gatherers to get initiatives on the ballot. Animal Defense League of Arizona is a plaintiff along with three other groups and two individuals in a lawsuit to invalidate HB 2244 on state Constitutional grounds, which would require strict compliance for initiative campaigns, and could disqualify petitions for minor technicalities such as the wrong margin size. Plaintiffs argue that HB 2244 violates separation of powers in Articles 3 and 4 of the Arizona Constitution, because the Legislature is stepping into judicial terrain by requiring courts to impose strict legal compliance on the petitions that citizen groups submit. The lawsuit charges that the Arizona Constitution and a series of cases interpreting the Arizona Constitution require that initiative organizers need be only in substantial compliance with state election laws to qualify their proposals for the ballot. Plaintiffs have also asked the court to issue a preliminary injunction blocking the measure from taking effect as scheduled on Aug 9th.